Beautifully British handcrafted sterling silver personalised keyring making this a truly unique gift for women for all occassions. 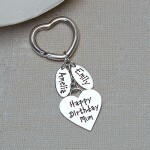 This beautiful keyring is all about love for Mum, Gran or any other female relative or friend who touches your life. 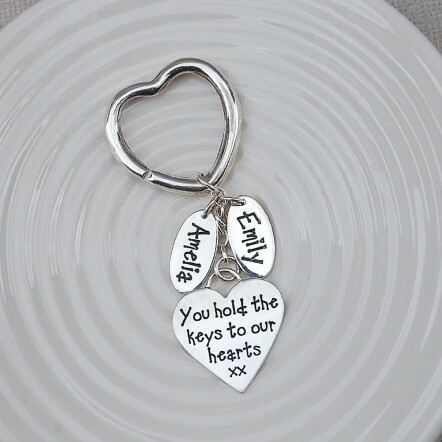 This keyring makes a lovely treasured keepsake for them to see everyday and remind them of their loved ones be it family or friends. 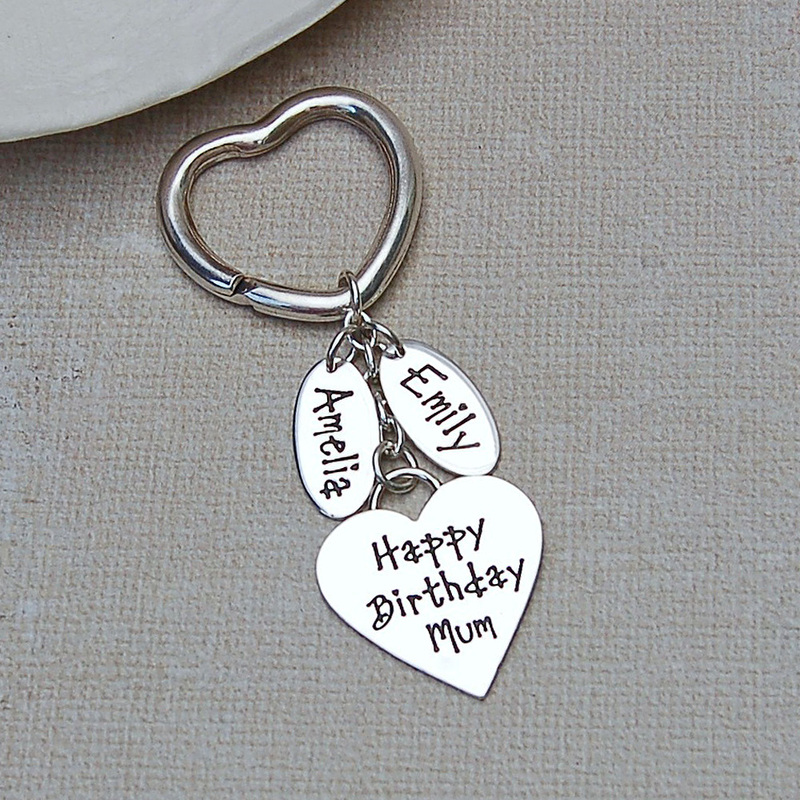 This keyring is to appreciate and celebrate the women in our lifes whether it be a Birthday, Christmas, Wedding, Friendship or even Mother’s Day! 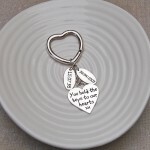 This would make a great gift from children to their Mums, Gran or even inspirational words to a friend. A sterling silver heart is hand cut and etched with a message of your choice, The heart allows uo to 35 characters which includes spaces and this applies to the front and back. 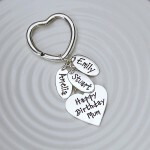 The sterling silver oval charms allow 8 characters to be etched on each side. 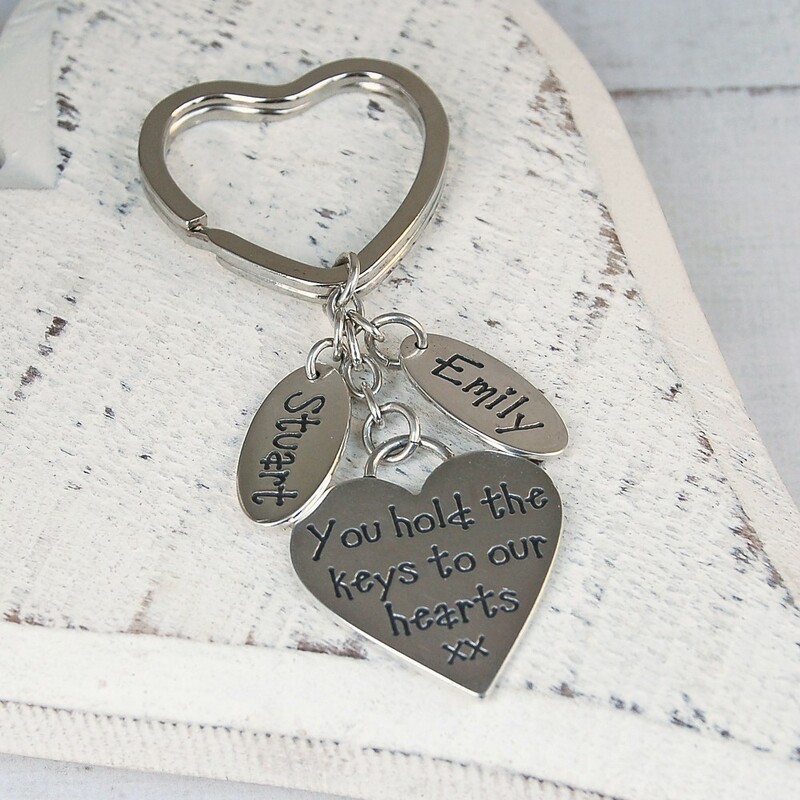 This Keyring comes as a standard design but If you would like to change it in some way then please contact us to discuss this. 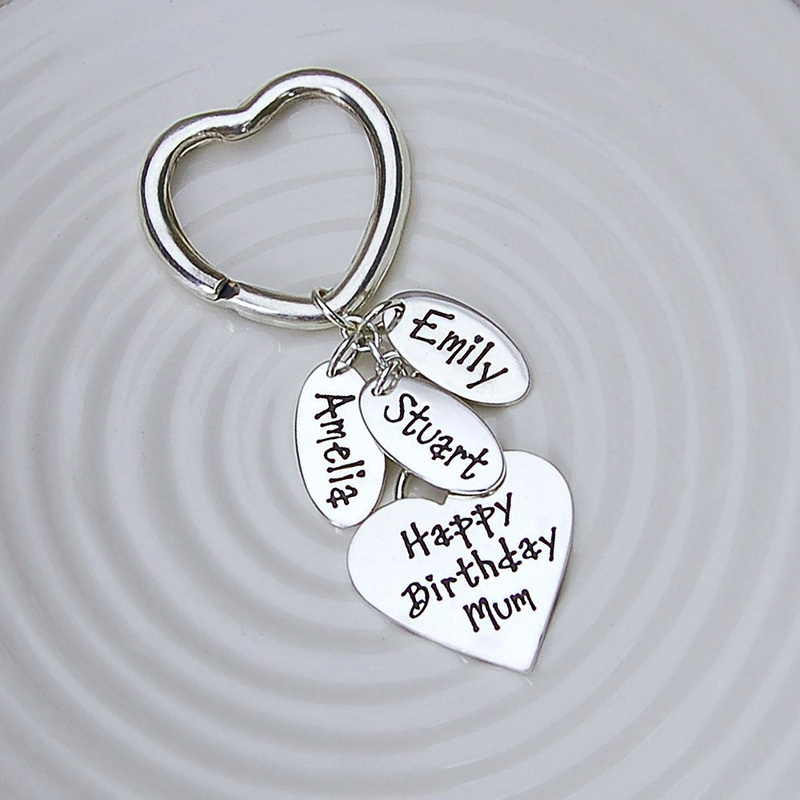 Sterling silver is one of the worlds most preious metals and it will tarnish over time. To keep your silver looking fresh there are a couple of simple tips to follow. 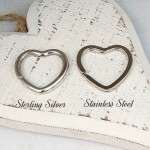 Clean your sterling silver in warm soapy water ensuring that it is rinsed thorougly and dried immediately to stop spotting. You can also clean your silver with a cloth, Make sure you use a 100% cotton cloth or a special sterling silver cleaning cloth as silver is a soft metal and can scratch easy. 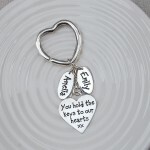 The Sterling Silver keyring measures 8cm long with the widest part being the open key fob which measures 3cm. Approx weight is15g. 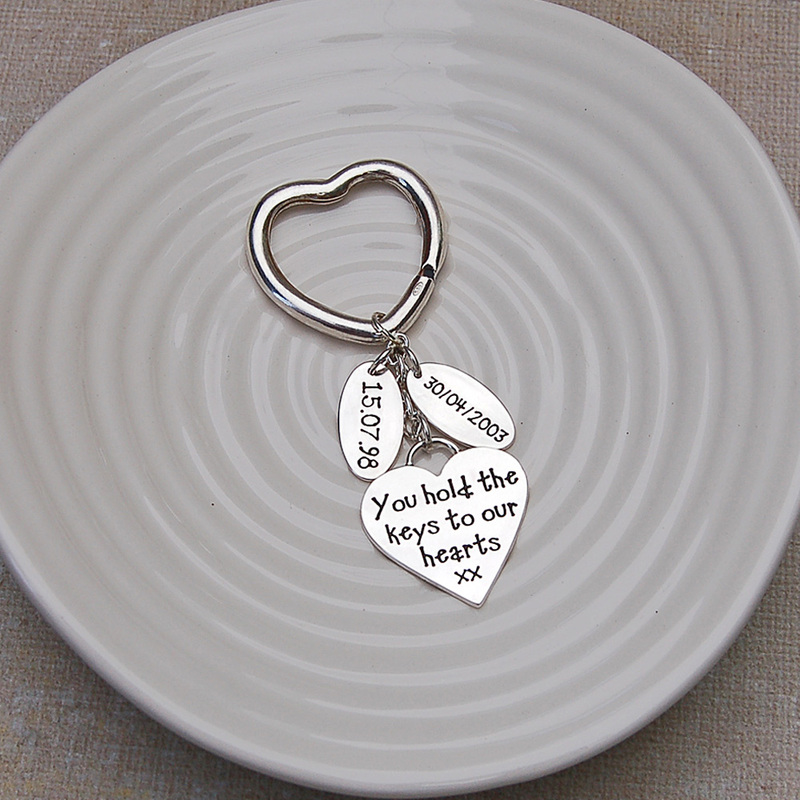 The Stainless Steel keyring measures approx the same as the sterling silver.